When the opportunity to test the Polar Vantage M presented itself, I was ready to track my every move to help me boost my daily physical activity and fitness levels. 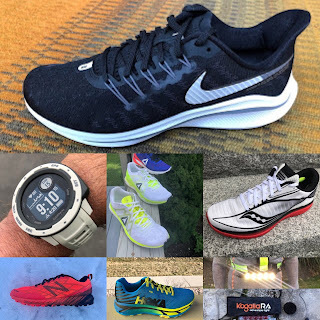 After 40+ years of running – marathons in my 20s (4) and half-marathons until a few years ago - I had fallen into a comfortable routine of running 20 miles per week at a relatively slow and consistent pace. An upcoming long distance hiking trip in May through Switzerland – the Via Jacobi – also required that I geared up my training in the weeks to come. Sporting a device that continually streams in-depth information about my daily activities, including heart rate and sleep, as I am hiking through Switzerland would be worthy of the Polar Vantage M – an all-in-one watch designed for serious athletes. Until the Polar Vintage M, I was reluctant to wear a smartwatch as I was attached to my classy, 30+ year old Swiss watch. The sleek look of the Polar Vintage M caught my eye as it was sitting on our kitchen counter to be shipped to a reviewer. I took the offer to review it and have since embarked on a digital journey of tracking my daily activities, including sleep, renewing and diversifying my athletic goals along the way. There are 6 views, all with date and time, but featuring different data on each view. The views are currently not customizable beyond picking a simple analog or digital watch face. Pressing the start button takes you to deeper information under each view. For example, in the Sleep view, beyond the hours shown on the face, you get actual sleep, percentage continuous sleep, and a qualitative score. I created an account on the Polar Flow website and downloaded the Polar app on my phone. Instead of simply tracking my workouts via the Strava app, as I used to do (Polar does send my data over seamlessly to Strava after a set up), I now have a device that continually streams information about my daily activities, which are charted via an activity report, training report, running index report, and cardio load report. The novelty component of tracking my sleep, getting phone/text message notifications, heart rate readings, and GPS trackings, to name a few, from my watch, has required some learning and has created new pathways to improving my fitness level. This is an important step as there are 3 intensity levels: low, medium, and high. After reaching my daily activity goal at level 2, and at times surpassing it, I decided to switch to level 3. Aiming to reach my “new” goal of 100% activity at level 3, motivates me to increase my level of physical activity. There are different ways of reaching my activity goal, such as running and doing other cardiac intense activities for about 1 h 30 minutes per day. Setting up your sport profiles is an important step and enables you to track and record all the sports that you practice. Besides running, I have been tracking my downhill skiing, cross-country skiing, tennis, and the different types of exercises (core, mobility…) that I practice either seasonably or year round. There are many sports profiles. It’s always nice to retrace my course via the GPS tracking and get all my running stats directly on the watch or via the Polar Flow app and website. The data is easily and seamlessly also sent to my Strava account. There are 4 cardio-load statuses: Maintaining, Detraining, Productive, and Overreaching-all handily shown on one of the button scrollable views on the watch and also in the app and web view. It takes at least 28 days of activity and training to build up the 28 day average cardiac Tolerance metric, which are then compared to the past 7 days of Strain or current cardiac loads. My cardio-load status has been “Productive,” which should improve my fitness level. The Polar Flow app tells me, “a bit of overreaching, maintaining, or even detraining at times is actually good for you.” Being in Park City, Utah, for two weeks made it easier to be “productive” in terms of my cardio-load status as I would be physically active throughout the day (including skiing) while exercising at high altitude. Back at sea level and sitting at my desk (until gardening season begins), I decided to increase my cardio-load build up when exercising as a way of offsetting my overall decreased activity level. After analyzing data from my Progress page, I realized that I tend to plateau in the low to medium cardio load zones and seldom peak in the high to the very high cardio load zones when exercising/running. Given the low point of my cardio-load buildup, I would benefit from progressively increasing the intensity of my workouts, i.e., running a bit faster than my usual slow pace and stretching the distance a bit. Lately, I have been working on improving my cardio load by spending more time training in the higher cardio load zones. The Running Program, which provides 4 different types of training: 5K, 10K, half-marathon, and marathon, is based on your fitness level and training history. I opted to select the program “getting ready to run a half-marathon” in 14 weeks as a way of shaking up and diversifying my training routine. The weekly schedule (from the Running Program page) outlines the type and amount of exercise for each day, which is illustrated by icons that can be dragged to another day of the week. There are 3 phases in the Running Program: base building, building up, and tapering. Depending on your target distance, the build up phase can last from 9-15 weeks, with weeks (two at a time) of training harder followed by a lighter training week. Week 4 into the program, I am slowly getting on board by alternating my running workouts -- there are 5 types of running workouts: easy jog, medium run, long run, tempo run, and interval. Each type of running workout has a pre-set duration, with phases (warm-up, work, and cool down) broken down into specific heart rate zones and training time. It can be a bit challenging to synchronize all your efforts as dictated by your smartwatch, however, it is worth sticking to it. My approach has been to ease into the Running Program as it is hard to kick old running habits. Overall, I am pleased with my progress. The Running Program includes supportive exercises to help prevent injury by improving your core, muscle strength, and mobility. I was surprised how easy it was to incorporate the small exercise sessions (less than 8 minutes) into my workout routine by watching the videos (on a computer) and exercising along. Examples are shown above and below. I am staying with level 1 for now, as I am getting familiar with the different exercises, but I intend to progress to level 2 and 3 in the weeks to come. The Vantage M watch is not compatible with the Polar Balance (scale). 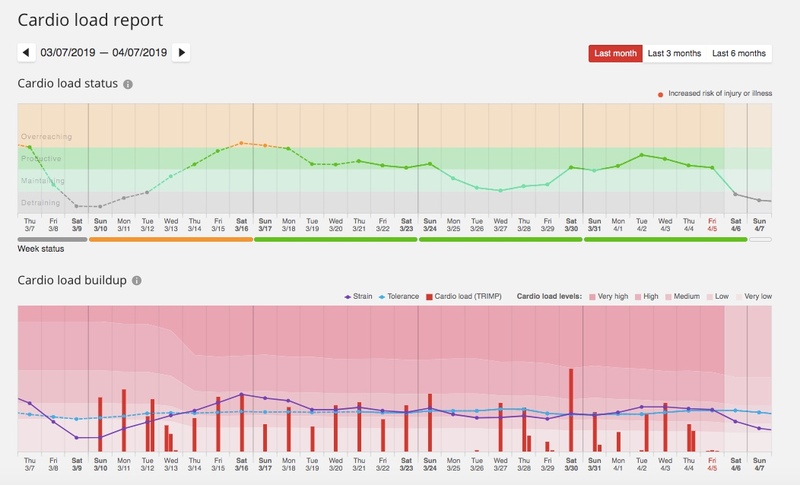 You have to receive weight data via the Polar Flow app. I previously had the scale on my account, from a couple years ago, and we were unable to synch it to the Polar app without deleting it from both the app and the web view and re pairing. We now appear to have solved the problem. After realizing that the Polar Vantage M cannot be synched with the Polar Balance, and pairing synching via the app was also also unsuccessful despite multiple attempts and contact with Polar, we decided to do a mechanical weight entry. However, a weight entry from two years ago could not be simply adjusted without creating issues, such as not being able to meet my daily activity goal despite a steady level of physical activity. After contacting Polar, we were informed that the scale is designed to provide activity goals based on a weight target loss and were advised to remove the Balance from my account as a remedy and then re pairing which we did. Things are now resolved and my weight is going to the app. We fixed the problem by removing the scale from my account and then performed a factory reset. I am learning a lot about my sleep patterns since I started charting my sleep a month ago. Even though I get close to 8 hours of sleep on most nights, my sleep can be very fragmented, which indicates that it is not the best type of restorative sleep. On a scale of 5, I seldom reach a score of 3, whereas my husband, Sam often gets a near perfect score of 5. I am definitely working on trying to improve my score, such as limiting myself to one beer a day and avoiding wine as it tends to keep me awake. Pros: As I tested the Vantage Polar M, I have become an adept at sporting this resolutely fitness and training focused smartwatch given its many benefits. The Running Program has helped me set new goals and diversify my workout routine. On a daily basis, it motivates me to be active by trying to reach my daily activity goal. Getting feedback on my sleep has been invaluable along with aiming to improve my overall physical and fitness levels by tracking and tabulating my every move. 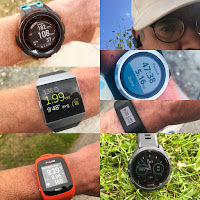 The watch at $280, is for sure an investment, however, it performs many functions (with some deficiencies) that I found to be well-worth its price, especially in comparison to and more basic fitness bands and my previous Strava app only tracking. I now liken my Polar Vantage M to my personal trainer! Cons: There appear to be some technical issues in terms of data recording with discrepancies regarding the daily goal status percentages -- different data depending the app versus the Polar flow website. Polar is aware of this, The Polar Vantage M watch itself is not compatible with the Polar Balance for direct receiving of data which can be then be passed to the app. This is a timely review. I am currently considering several new watches in this range, including the Vantage M. How does this watch compare to the 2 offerings from Coros? I would really appreciate your thoughts on this. I don't like buying anything significant like this without input for RTR. Thanks so much!